This Super-Powerful Laser Just Got a Mega-Upgrade « Adafruit Industries – Makers, hackers, artists, designers and engineers! Earlier this year, Lawrence Livermore engineering technical associate Pam Danforth applied 30 years of laser experience to an out-of-this-world problem — bringing new life to the University of California’s Lick Observatory Laser Guide Star. 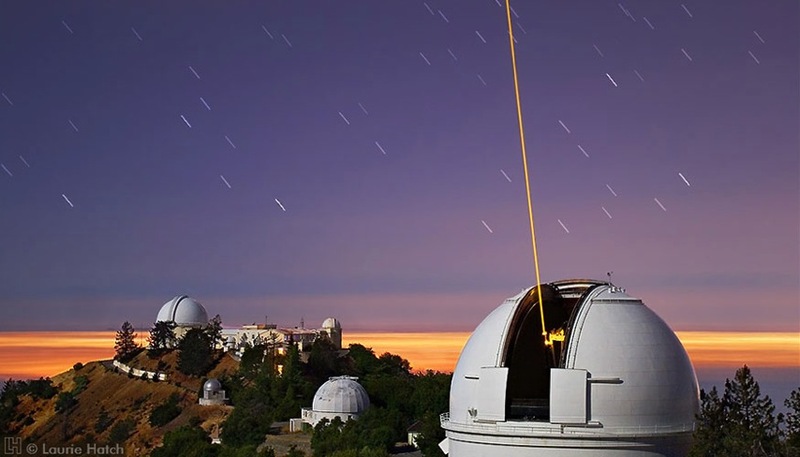 The Lick Observatory’s Laser Guide Star is vital to astronomers because a natural guide star isn’t always near an object they want to observe. By training the guide star beam into the sky near such an object, an artificial guide star of glowing atmospheric sodium ions is created, allowing the laser guide star to function like a natural guide star and provide correct focus for the object they want to observe. It was this combined expertise that made Danforth the right person to help bring the Laser Guide Star back to peak operating condition. According to Lick Observatory Superintendent Kostas Chloros, this work was needed as the system’s performance and efficiency had degraded, impacting the research programs that require the use of a laser guide star.